The debate over the origin of coal seams was settled years ago in favour of in situ (or autochthonous) formation from peats formed slowly in swamps of various descriptions. 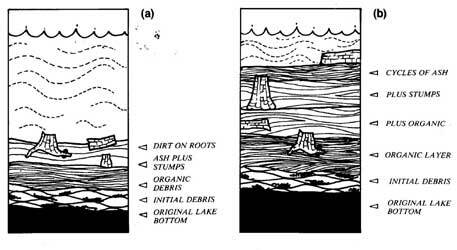 One of the key factors in this ascendancy of the peat swamp model over the various allochthonous (or transported) models was the recognition of so-called ‘fossil forests’—tree stumps with roots and logs in apparent growth positions on top of coal seams. The peat swamp model has not only become the basis of virtually all studies on coal seam formation, but is now also the basis of studies on the coalification of the plant constituents to produce the various coal macerals (e.g. Diessel,1 Stach et al.2. For this reason considerable effort has been directed towards the study of modern peat-forming environments (e.g. Martini and Glooschenko3 as a key to understanding the peat precursors of coal and the coalification process itself. Even so, Prof. Martini of Guelph University (Canada), a noted expert on modern peat-forming environments, while giving his keynote address on the subject to a recent conference (the 1984 18th Newcastle Symposium organized by the Coal Geology Specialist Group of the Geological Society of Australia) came to the question of the relationship between peat and coal, and honestly admitted that he didn’t know what it was! Unfortunately, the ascendancy of the gradualistic peat swamp model has led to neglect of the evidence for the allochthonous, and catastrophic, deposition of coal seams. Even with abundant evidence for contemporaneous volcanism resulting in volcanically derived inter-seam sediments, such coals are still viewed as having formed in peat swamps that were periodically buried by volcanic debris. But the May 18, 1980 catastrophic eruption of Mount St. Helens, U.S.A., provided an opportunity to witness the wholesale destruction of forests by volcanism, and to study the deposition of this forest debris in layers and as stumps with roots and logs in growth positions within pyroclastic sediments, all reminiscent of depositional sequences in some coal basins. Furthermore, recent artificial coalification experiments have been able to rapidly produce high rank coals using clays as catalysts under conditions analogous to those existing in and around volcanic centres. Figure 1. Location map of the Mount St. Helens area, Washington, USA, showing the devastating effects of the May 18, 1980 eruption. On Sunday morning, May 18, 1980, an estimated 10 megaton explosion blasted over four cubic kilometres of rock material out of Mount St. Helens, U.S.A. The top 400 metres of the mountain were blown away. According to Lipman and Mullineaux4 a ‘directed blast was generated by massive explosions that occurred when an enormous landslide released the confining pressure on a shallow dacite cryptodome and its associated hydrothermal system. 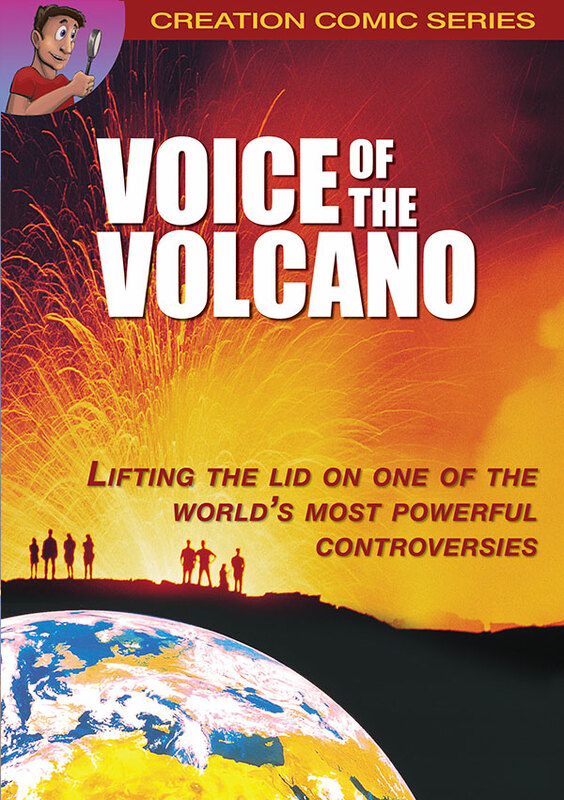 Propelled by expanding gases and gravity, the mixture of gas, rock, and ice moved off the volcano as a catastrophic, hot, ground hugging, turbulent pyroclastic cloud at velocities of as much as 300 m/s Within minutes the directed blast had extended about 25 km and carried off or knocked down all trees in its path.’ Over a radius of more than 11 km the surrounding coniferous forests were flattened and a wall of ash, mud and broken trees roared across nearby Spirit Lake and down Toutle River Canyon (Fig. 1). This volcanic debris included enormous quantities of trees which had been devastated and stripped of their branches and leaves. Reporting the event, Fritz5 stated that many of the trees from Mount St. Helens were transported many kilometres down Toutle Canyon by ash and mud flows and deposited upright and at various other angles. Fritz commented (and recorded by photography) that although all the blasted stumps were devoid of branches, many still had large root systems. Some even retained fine rootlets. This was true particularly for the shorter stumps which were deposited upright in an apparent growth position. The longer logs wore often deposited horizontally while some were in diagonal position. (b) The mud and ash-flow deposited trees in Toutle Canyon have much in common with the petrified ‘forests’ of the Eocene Lamar River Formation in Yellowstone National Park. Thus Fritz postulated that such petrified ‘forests’ could have been formed rapidly by the repetition of similar mechanisms to that observed at Mount St. Helens, that is, they were not formed in situ despite their apparent growth position. Fritz’s observations of the events at Mount St. Helens and his conclusions indicate that the Toutle River event produced large deposits of upright coniferous logs in situations where they could still bleed from their freshly broken surfaces, but be unable to drop leaves or branches, since these had already been blasted off. Returning again to the Mount St. Helens eruption, after the violence had subsided, a gigantic raft of broken logs and stumps floated on nearby Spirit Lake (see Fig. 1).6 Between the logs were the smaller charred remains of bark, broken branches, woody splinters and anything else that had not totally burned in the gas cloud that had poured down Mount St. Helens. The mountain itself was a sterile grey, bare of life and covered only with loose ash and pumice. Figure 2. Idealized sketches of deposition in Spirit Lake, Mount St. Helens area, Washington, USA. (a) Deposition of debris from, and by, the initial eruptive blast. (b) Deposition of ash and organic debris by subsequent rainfall run-off. The same was true of many of the sunken logs, as investigated by skin divers McMillen and White in late 1983.6The bottom of Spirit Lake resembled an underwater forest. Those tree stumps resting on the bottom, roots down and trunks vertical, gave the appearance of having grown there. They were very easy to push around, but rapidly returned to their vertical floating position. The skin divers reported that where the lake was less than six metres deep, the bottom was devoid of debris, because the sunken logs and fragments either had accumulated in the deeper parts of the lake, or had been rapidly covered by more volcanic ash being washed into the lake. In fact every new rainfall still brings an abundance of volcanic ash, mud and organic debris into Spirit Lake, because the surrounding mountain-sides are still devoid of new well-established vegetation. Figure 2a is an idealized sketch of what the bottom of Spirit Lake is visualized as looking like at present, particularly the deepest parts of the lake. There would first be layers of ash, and rubble from the initial explosion, followed by an accumulation of pine tree fragments such as the more resistant leaf debris, bark and wood splinters which sank after floating for only a short time in the lake, all buried by ash and mud. Much of this pine tree debris would be charred or burnt. On top of this layer of ash would be further ash and mud (from later rainfall) with the larger sheets of bark that have only recently pealed off the floating logs through bacterial action. Logs and stumps, many in the root-down position and with bark peeled or blasted off, would then be resting on the top of these layers with still further ash and mud accumulating around them. It is not hard to visualize how increased run-off, sedimentation, and/or further ash falls would deposit and more organic debris and logs, and so add to this tern of sediment accumulation several times in succession as depicted in Figure 2b. Already one scientific field expedition has commenced investigation of the Spirit Lake area as modern site of coal seam formation. An early report7 has confirmed the essential elements of the model depicted in Figure 2. Many more pine logs are now floating vertically in the waters of Spirit Lake, while the charred remains of other pine tree debris (bark and wood splinters) lie buried in the volcanic ash and mud both on the lake’s bottom and on the lake’s shores. The report indicates that some of this debris appears to have already coalified. Figure 3. Generalized geological map of the Newcastle Coalfield, NSW, Australia showing the location of Swansea Heads and Quarries Head. 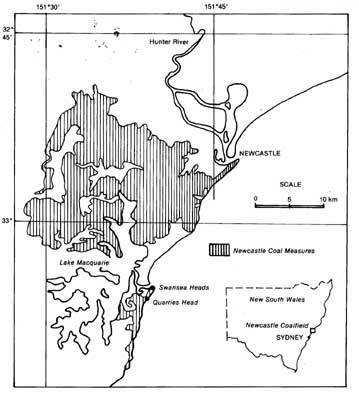 In the coal measures at Newcastle, NSW, several sediment sequences similar to that in the idealized diagrams of Figure 2 have been identified in outcrops at Swansea Heads and Quarries Head (see Fig. 3). 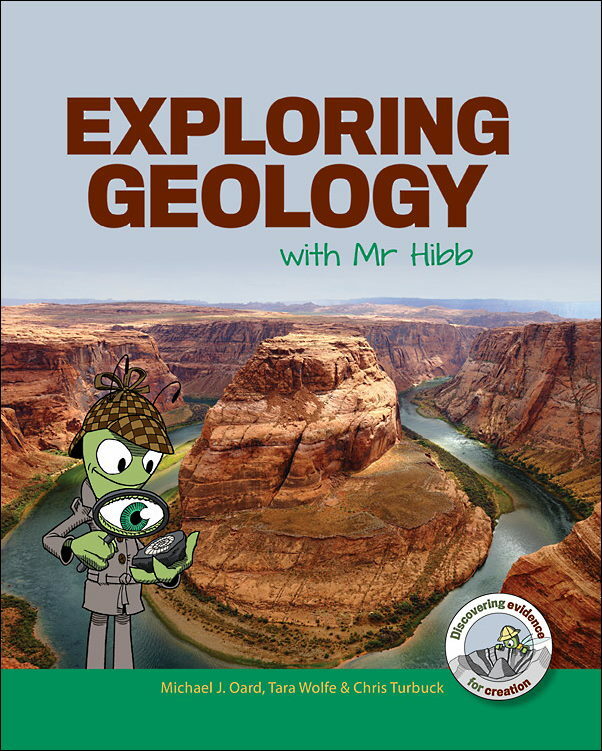 Diessel11 has described in detail the section at Swansea Heads and Quarries Head. Figure 6 is his generalized sketch of the relevant section, which may be closely compared to the Quarries Head cliff outcrop shown in Figure 4. Diessel11 has divided the Reid’s Mistake Formation between the Lower and Upper Pilot Seams into four tuff sub-units and interpreted them as ash fall, pyroclastic surge, ash flow, and pyroclastic surge deposits respectively, using the pyroclastic (ash) deposits of the May 18, 1980 lens eruption4 as his model. Figure 4. Tree stumps and logs in apparent growth positions at Swansea Heads (a) (b), and Quarries Head (c). At Swansea Heads the stump (a) and log (b) are in the ryholitic tuff above the Lower Pilot Seam. They are completely silicified, apart from coalification of the former bark on the log. At Quarries Head the logs sit on top of the Lower Pilot Seam (see also Fig. 6). Figure 5. The stratigraphic sequence in the Newcastle Coal Measures (after Crapp and Nolan10). The vast number of tree stumps and logs include many in an upright position as well as those in horizontal positions (see Fig. 4). 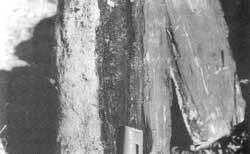 The horizontal logs are usually coalified and crushed, whilst the vertical logs often have at their bases coalified bark with iron carbonate replacement of the interior woody tissue. The upper trunks of the vertical logs which protrude high into the tuffs are often silicified, the woody tissue being replaced by chalcedony. The tuff around these logs contains coalified specks that have the characteristics of resinite or coalified resin. (a) Whilst many of the stumps and logs are in vertical positions, they rarely exhibit evidence of branching or leaf structures and are commonly fractured at their ends. They are therefore identical to the logs and stumps produced by the Mount St. Helens explosion and deposited with ash in both Spirit Lake and Toutle Canyon. (b) Even as far back as 1907, David12 argued that these trees had-been rapidly buried by an ash fall, and in support of his argument pointed to the presence of resinites in the associated tuff. Since some of the vertical trees he referred to were up to 30 feet or 10 metres tall, their excellent state of preservation indicates that the entire 10 metres of ash and sediment were deposited quickly, that is, the inter-seam sediments between the Upper and Lower Pilot Seams were rapidly and catastrophically deposited, a conclusion acknowledged by Dresser11 by his discussion of the origin of these inter-seam tuffs. (c) The stumps and logs are found on the top of the coal seams and are not in the coal. The root structures of the tree stumps rarely penetrate any depth into the coal seams. David12 claimed this was because the precursor trees, which have been identified as Dadaxylon, a relative of the Norfolk, Island Pine, could not grow healthily ‘if immersed in peat’. This is a factual statement which does not assist the argument that the tree stumps are in situ. Figure 6. Generalized sketch of Reid’s Mistake Formation at Quarries Head south of Newcastle showing its major sub-division (after Diessel11). (d) The classification of the stumps and logs as Dadaxylon supports the thesis that the precursor trees were catastrophically destroyed. Dadaxylon is, in fact, the name given to Araucaria pine trees when it is uncertain what specific name should be given to pine trees that are recognized as Araucaria. In this case the reason the name Dadaxylon has been given is that the stumps and logs rarely show any evidence of leaf scars or branches, factors that are necessary for identification of Araucaria.14 The absence of these identifying factors again indicates catastrophe, that is, the precursor trees were stripped of these recognizable features in much the same way as the conifers on the slopes of Mount St. Helens were stripped of their leaves, branches and some bark by the force of the 1980 eruption’s blast. (e) The coal upon which the logs and stumps are lying and the enclosing sediments contain abundant evidence of Glossopteris flora, but a virtual absence of Araucaria forest litter. This is an observation that even David12 commented was strange if the Araucaria actually grew there. (f) The coal and surrounding sediments show no conclusive evidence of bioturbation. Even the commonly referred to vertebraria could be viewed as having been deposited contemporaneously with the sediments. (g) Analyses of the coalified bark of the logs, even those reported by David12 back in 1907, and analyses of the coal in the seams below the tree stumps and logs, indicate that much of the coal in the seams is derived from, or has similar composition to that of, the Araucaria bark. This suggests that the coal, while not containing much evidence of Araucaria forest litter on its surface, does contain much Araucaria bark throughout. Such a situation is inexplicable if the precursor trees are viewed as the terminal growth, or the forest stage, of a peat swamp. Under terminal swamp conditions, the Araucaria bark and litter should only be found on the surface of the peat, since they would be deposited there only after the area had ceased to be a swamp. Thus this evidence is far more consistent with a volcanism model, where the bark debris is deposited throughout the sediments like those in Spirit Lake, than with terminal growth on a forested swamp (refer to David,12 Crapp and Nolan10). Figure 7. 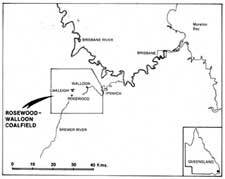 Location of the Oakleigh mine in the Rosewood-Walloon Coalfield, Queensland, Australia. 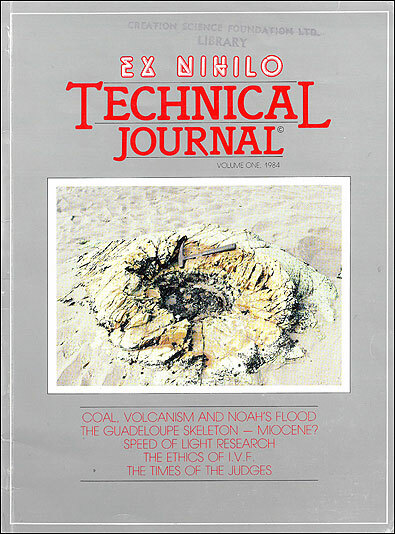 (h) If Nashar15 is correct when she states that some of the vertical logs of the Lower Pilot Seam originally penetrated up into the next seam of coal, then it is obvious that not only were the inter-seam volcanic sediments deposited rapidly, but so also was the vegetable material in the Upper Pilot Seam. This would have been necessary to ensure that the full lengths of the vertical logs would be preserved, since such logs would not have been preserved if they had been exposed for any length of time while the area slowly subsided and new swamp conditions developed. (i) The occurrence of many crushed and coalified logs in a horizontal position, and sometimes of enormous length, is remarkably similar to the Mount St. Helens situation. 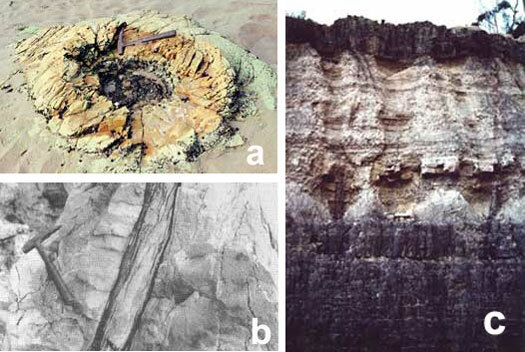 (j) Finally, the association of the logs with the coal, and in particular their interpretation as representing the remains of the in situ terminal forest stage of a coal-forming peat swamp, is seriously challenged by the occurrence of the widespread Awaba ‘fossil forest’ marker bed12 below the Great Northern Seam, and approximately 60 m stratigraphically above the Upper Pilot Seam (see Fig. 5). In this bed, silicified stumps and logs are often discovered in apparent growth positions, but without any necessary association with coal, in a chert formation that has great similarities petrologically to the felsic volcanic ash flow in Toutle Canyon. It is clear that the Awaba trees could not have grown in situ. The massive chert formation the logs are in does not represent a ‘fossil’ soil. Furthermore, the absence of any other vegetation or forest litter is another factor which is exceedingly strange if the area is supposed to be a buried forest in which only logs and stumps and no other vegetation whatsoever are preserved. Figure 8. 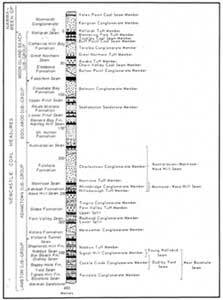 Generalized stratigraphic column of the Walloon Coal Measures in the Rosewood-Walloon Coalfield (after Cameron16). The conclusion is obvious. One cannot assume that simply because coalified plant matter and coalified Dadaxylon logs are found together, they either grew in situ or necessarily had any active on site ecological relationship. 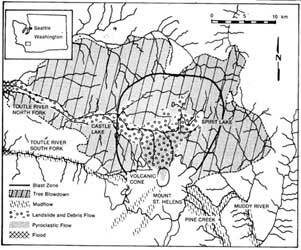 In other words, the events at Mount St. Helens, both in Spirit Lake and along Toutle Canyon, imply, as Fritz5 pointed out, that arguments for in situ tree growth cannot in future be based only on the position of logs sediments. 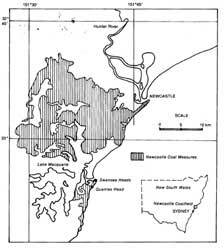 Thus it is our contention that the logs and coal seams at Swansea Heads and Quarries Head in the Newcastle area, and the Awaba marker bed above them are more readily and consistently explained by invoking a rapid and catastrophic allochthonous origin using the Mount St. Helens event as a model, rather than the buried peat swamp hypothesis. 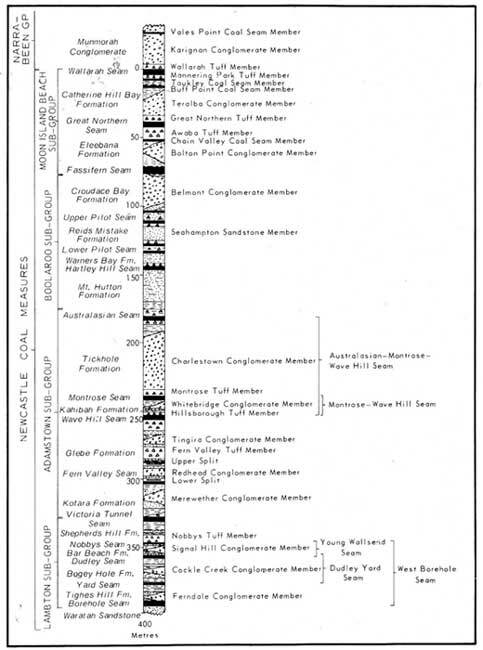 Cranfield et al.17 describe the Walloon Coal Measures as comprising mudstone, siltstone, fine-grained labile calcareous sandstone, thin coal seams and minor limestone. 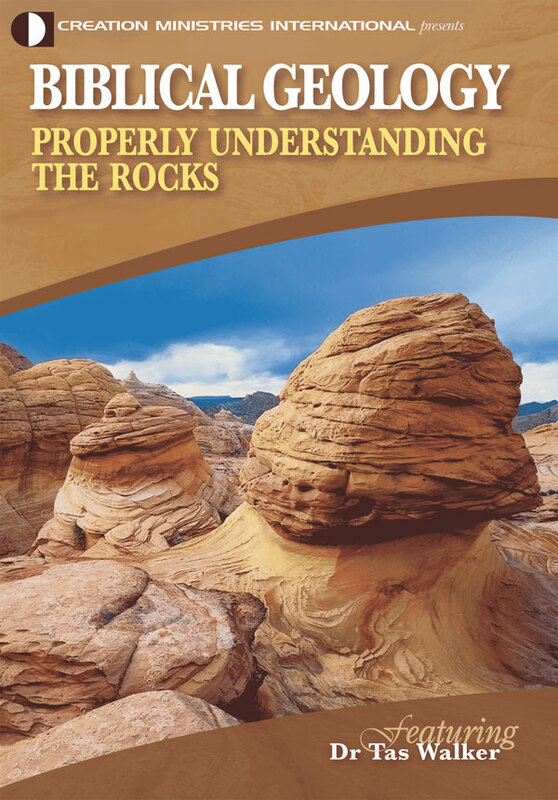 They comment that ‘generally the sandstone is fine-grained, thick bedded, and friable, and consists of feldspar and black lithic grains of andesitic material in a montmorillonite matrix. The fine-grained sediments immediately overlying the majority of seams contain a greater percentage of conifers. The bulk of the coal appears to be from conifer material. The coal-forming flora was dominated by araucarian conifers. Pine cuticles are very common in the coal. Resinite is an abundant maceral in some Walloon coals. Araucarian ovuliferous cone scales and various pollen cones are preserved. Massive conifer-like trunks of fossil wood exhibiting growth rings occur in the Walloon Coal Measures. Figure 9. The stratigraphic sequence in the Oakleigh coal mine near Rosewood (after Cameron16). Thus the Walloon coal has much in common with the coal in the Upper and Lower Pilot Seams, including the presence of volcanic ash in the inter-seam sediments. (c) both of these conditions. 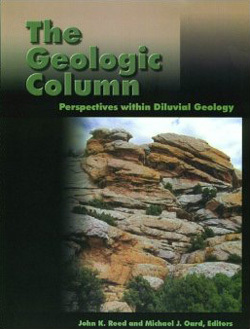 A very significant implication of these observations is that if coalification resulted from the log being exposed to a rapid heating event, then this would also imply that the sediments surrounding the log were not only rapidly heated, but they also cooled rapidly: that is, they rapidly lost sufficient heat so as to drop below the temperature at which the inside of the log would have also reached the same advanced stage of coalification as the log’s outer circumference. In other words, there was rapid heat loss on a regional scale. Figure 10a. A broken log found in tuffaceous sandstone above the topmost coal seam at Oakleigh near Rosewood (see Fig. 9). A general view of two pieces of the log which consist mainly of woody brown coal. The observations of a volcanic eruption at Mount St. Helens, the Toutle River ash and mud flows which deposited conifer logs and roots in apparent growth positions, and the Spirit Lake phenomenon which produced vertical growth position conifer logs with or without roots in tuffaceous sediments and conifer bark rich debris have been shown to be quite clearly related as depositional models to the vertical pine tree logs with a pine bark and clay-rich coal and jutting into overlying tuff layers at Swansea and Quarries heads, the Awaba ‘fossil forest’ marker bed of similar pine logs but in chert largely devoid of other vegetable matter, and the Oakleigh drift log consisting of both black and brown coal that was discovered in tuffaceous sandstone above seams which are full of coalified pine cuticles. This relationship highlights a point made by Dryden,20 and remade by Hayatsu et al.21 that ‘there had been no incontrovertible evidence to support any theory of coalification.’ This has been stated here because the listed observations strongly imply that not only can large quantities of carbon-rich sediments be accumulated rapidly in catastrophic conditions, but that the same sediments can be coalified rapidly. 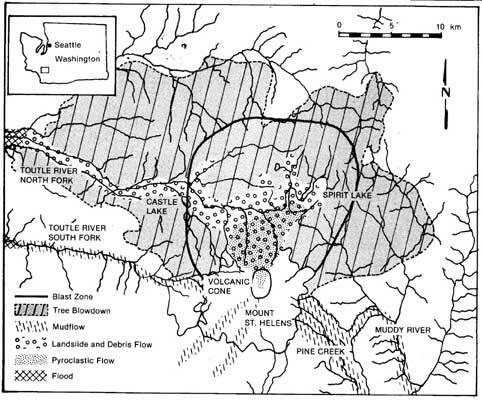 The Mount St. Helens volcanic eruption as a depositional model for coals appears particularly obvious from the widespread occurrence of volcanic tuffs and associated clay minerals resulting from devitrification of tuffs in the coals and inter-seam sediments of the Newcastle and Rosewood-Walloon coalfields. Where tuffs are not apparent, their previous existence is often suspected because of the widespread distribution of clay minerals which potentially have been derived from ash falls.11,17 Since depositional relationship between these coals and volcanism can thus be established by the fact that the majority of the clays associated with these coals are common derivatives of volcanic ash, then similarly a relationship between volcanism and rapid coalification of these seams can be established on the basis of laboratory experiments in which it has been shown that such clays seem to act as catalysts for the rapid coalification of carbon-rich materials. Furthermore, the non-relationship of peat to coal can thereby be demonstrated, since the present of large amounts of clay throughout these coal seams disassociates them from being descendants of peat swamps, particularly cold environment peat swamps, which are virtually devoid of clays. Figure 10b. A closer view of one piece showing, from left to right, tuffaceous sandstone still clinging to the log, bituminous (black) coal, and the woody brown coal of the bulk of the log. Karweil22 reported that he had produced artificial coal by rapidly applying vibrating pressures to wood. Subsequently Hill23 reported that he had also manufactured artificial coal through rapid application of intense heat. While both these studies used simulated conditions that are applicable to coalification in areas of tectonism and volcanism, such as the coal seams at Newcastle and Oakleigh, recent work by Hayatsu et al.,21 is even more applicable. In their study, Hayatsu and his colleagues at the Argonne National Laboratory, Illinois, USA made simple coals by heating lignin to about 150°C in the presence of montmorillonite or illite clays. Running that procedure for periods ranging from two weeks to nearly a year, they discovered that longer heating times produced higher rank coals, and found that the clays appear to serve as catalysts that speed the coalification reaction, since the lignin is fairly unreactive in their absence. Softwood lignin heated with clay minerals (particularly montmorillonite) at 150°C for two to eight months in the absence of oxygen was readily transformed into insoluble materials resembling coals of various ranks. Longer reaction times produced materials resembling vitrinites of higher rank. Simple pyrolysis of lignin without clay at 350 to 400°C yielded only char (fusinite?). 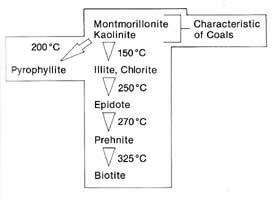 Using kaolinite or illite, independently or mixed with montmorillonite, produced similar results. Figure 10c. A closer view of the other piece showing, in cross section, the bituminous (black) coal on the log’s circumference and along a clay filled fracture. They concluded, therefore that natural clay minerals are important for coalification because they act as catalysts. (b) loss of catalytic action of clays occurred when the reaction was carried out in the presence of air. Thus their overall conclusion was that coal macerals can be produced rapidly from biological source material by a clay-catalyzed thermal reaction in periods of only two to four months (sometimes one month). Tables 1 and 2 summarize the experiments conducted by Hayatsu et al.21 It should be noted from Table 1 that samples AV1 and AV4 produced coal materials ranging from low rank over two months to high rank over eight months. By comparison, sample AVOX was heated in the presence of air and produced no noticeable coal products after two months, while sample PL3, which was a 400°C experiment over an hour, produced only char material. Note also the results of experiments 2 and 3 in Table 2. When no acid was used the coalification time was two months, while acid-activated coalification took only 28 days. Furthermore, temperatures lower than 150°C have so far not been tried in these experiments. AV1 Lignin Yes 150 2 Mo. AV2 Lignin Yes 150 4 Mo. AV3 Lignin Yes 150 6 Mo. AV4 Lignin Yes 150 8 Mo. AVOX Lignin/Air Yes 150 2 Mo. AP Lignin Yes 350 30 Min. PL1 Lignin No 350 30 Min. PL2 Lignin No 350 60 Min. PL3 Lignin No 400 60 Min. PC1 Cellulose No 350 30 Min. PC2 Cellulose No 350 60 Min. PC3 Lignin/Cellulose No 350 60 Min. AA1 Fatty Acids (F1) Yes 200 4 Mo. AA2 Fatty Acids (F1) Yes 200 6 Mo. AA3 Fatty Acids (F2) Yes 200 4 Mo. Partial or complete fillings of plant cell cavities, particularly in vitrinite. In this case the clay is usually homogeneous kaolinite. 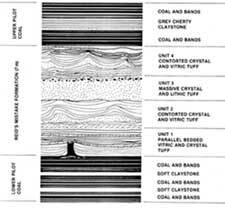 Another interesting observation on clays in coal is the differing percentages of clay in the different types of coal (See Table 3). While fusains and durains normally contain a far greater percentage of mineral matter than vitrains and clarains, the mineral content of vitrains is almost totally clay. Furthermore, in most Southern Hemisphere coals, clays predominate over other types of inorganic matter (e.g. see Ward24). 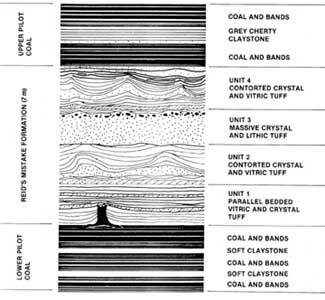 In Australian coals even after washing over half the original clay content is still present, indicating that the clay is therefore homogeneously distributed throughout the coal. Figure 11. The effect of rising temperatures during metamorphism of the clay minerals usually found in coal seams (Data from Stach et al.2). The weight of evidence (observation and data) suggests that the clays found in coals and inter-seam sediments are involved in the coalification reactions and are important indicators of the conditions during both seam deposition and seam coalification. The clays strongly suggest related nearby volcanism and disallow cold climate swamp and peat-forming environments as precursors to the coals. The widespread presence of clays in coals has led advocates of the peat swamp hypothesis to suggest that the clays are derived from clays and feldspar debris washed into swamps during flood periods. However this suggestion ignores the observation that in most acid swamp environments, clays will flocculate and not settle to the bottom. Such a suspended state will not produce the homogenous distribution of clays throughout the organic swamp debris and it most definitely cannot explain the clay bands consistently traceable as marker horizons between adjacent coal basins. Finally, Martini and Glooschenko3 and Martini28 have shown and stated emphatically that cold climate peat swamps do not have clay minerals in them. This conclusively indicates that such environments are not suitable choices for precursors of coal seams. A variable pressure source similar to that associated with volcanism or tectonism. This combination of variables successfully explains why non-anthracite coals are sometimes found in high grade metamorphic rocks, showing that neither continuously applied pressure nor heat have been the key factors. Similarly, it also explains why some massive coal deposits are found as thick seams of low rank brown coal and not as more mature higher rank black coals. One missing ‘ingredient’ in these brown coals is aluminium silicates (clays). A classic case is the Latrobe Valley coals at Yallourn in Victoria, where thick brown coal seams are virtually devoid of clays.26,27 By comparison, the thin Lower and Upper Pilot Seams at Newcastle consist of higher rank black coals containing abundant clays. This important relationship between clays and coalification also suggests why the various coal types are associated with different clay combinations even within the one seam, where temperature, pressure and pH had a high probability of being the same. For example, vitrain has low mineral matter but a large percentage of this mineral matter is clay, whereas fusain has high mineral matter but a much lesser percentage of its mineral matter is clay. This higher mineral matter in fusain may well act as a coalification inhibitor (or catalytic poison). This same clay/coalification relationship can be taken a step further and applied even to individual coalification events, such as that responsible for partial coalification of the tree stumps in the Pilot Seams at Newcastle. Near the bases of these tree stumps where the pH was lower due to the abundant adjacent vegetation debris, coalification has occurred. Higher up the stumps where there was much less adjacent vegetable material and higher amounts of siliceous volcanic ash, silicification has occurred. Furthermore, at the bases of the tree stumps the ash surrounds the outside of the stumps, so coalification of the lignin-rich bark has occurred, whereas solution replacement occurred internally with the woody tissues being replaced by iron carbonate. The coalification of only the bark near the bases of these tree stumps can now be best explained as due to the thinner bark on the upper parts of the stumps having been removed either by bacterial action similar to that seen in Spirit Lake, or during the directed volcanic blast. 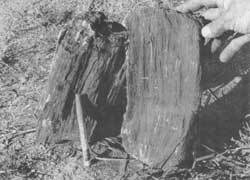 Likewise, the condition of the log found at Oakleigh can be explained on the assumption that it has been subject to brief (and therefore rapid) clay-catalyzed thermal activity around its circumference to produce high rank black coal, while the protected inner portion of the log remained virtually unaltered. This thesis would also explain why the Awaba tree stumps and logs, which are virtually devoid of accompanying vegetation debris, have been silicified rather than coalified, whereas the tree stumps sitting on the Pilot Seams have been coalified near their bases because of the accompanying acid-generating vegetable material. If this thesis is correct, it is therefore feasible to predict that tree stumps and logs deposited in tuffaceous sediments devoid of accumulated acid-generating vegetation debris will most probably petrify. Thus it is predicted that should appropriate conditions ensue the logs in the Toutle Canyon ash flows will be more likely to petrify, while the logs being buried beneath the waters of Spirit Lake will probably coalify around their external margins. It should be obvious now that the explosive pyroclastic volcanism model can not only be applied to the deposition of coal seams, but can be invoked to produce rapid coalification of the same coal seams. The implication is that the whole process from pine forests to coal seams was both catastrophic and extremely rapid. A series of explosive pyroclastic eruptions from the one volcanic centre could flatten the pine forests, bury the debris in ash, and then provide the rapidly applied pressures (volcanic seismicity) and a rapid heat source at temperatures below 200°C (hot ash, steam, etc.) to coalify the buried forest debris catalyzed by the clays buried with the forest debris and to a lesser extent, by the clays in the overlying and underlying tuffaceous muds and volcanic ash units. The evidence at both Newcastle and Oakleigh is consistent with an explosive pyroclastic volcanism model for coal seam formation. 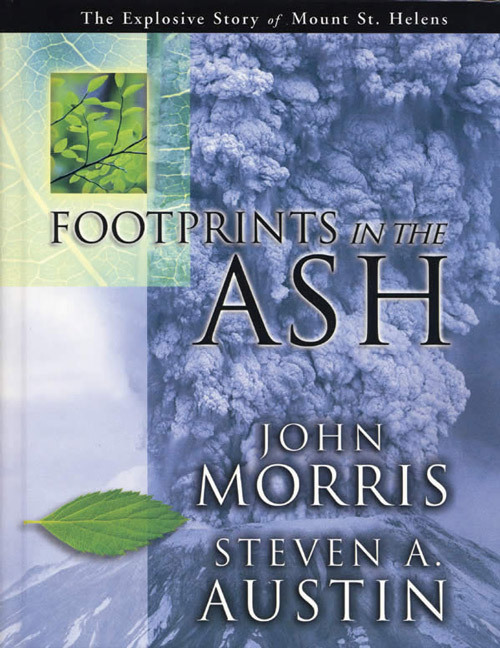 The relevance to Noah’s Flood of this explosive pyroclastic volcanism model for the rapid destruction of whole forests, deposition of forest debris in seams, and coalification of these seams should by now be obvious. The relevance to Noah’s Flood of this explosive pyroclastic volcanism model for the rapid destruction of whole forests, deposition of forest debris in seams, and coalification of these seams should by now be obvious. The catastrophic effects of volcanism and the associated flooding at Mount St. Helens were isolated to just a small region that is hardly comparable to the extent measuring thousands of square kilometres of many Australian coal basins, including the Sydney and Clarence Moreton Basins (Newcastle and Walloon Coal Measures respectively). Any catastrophe that produced these coal seams must have been on a greater scale than the impressive explosive 1980 eruption of Mount St. Helens. 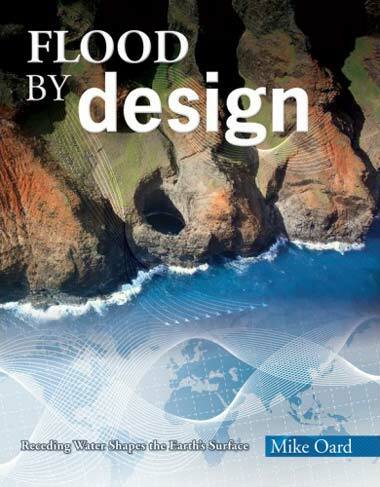 The only large volcanic and water catastrophe the world has experienced was Noah’s Flood, some 4,300 or so years ago. 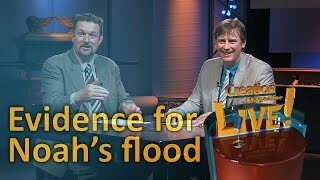 During Noah’s Flood much of the water came from inside the earth. Genesis 7:11 records that the fountains of the deep broke open. 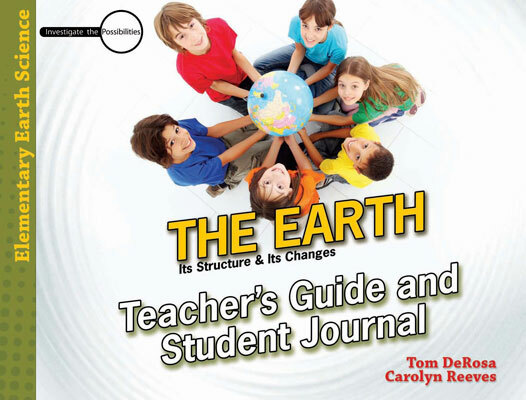 If the earth opened, this would probably have involved much volcanic activity as well. Even today up to 90% of what comes out of volcanoes is water. Furthermore, in the last two decades many springs have been discovered issuing forth prodigious amounts of hot (350°C) salty water from deep-seated cracks and vents in volcanic rift zones on the ocean floor.29 Such a global upheaval as Noah’s Flood would have been catastrophic, for all the mountains on the earth’s surface were covered with water (Genesis 7:18–23) and the earth’s crust was broken up by earthquakes and volcanoes. The erosion and debris produced would have been phenomenal. This unique catastrophe would have devastated the entire forest and vegetation cover of the earth’s surface. Some debris would been buried immediately by explosive volcanic blasts, whereas other debris would have been carried off by the rising waters as huge floating log rafts, only to be buried later as the logs became waterlogged and sank, or further surges of volcanic ash and/or sediment-laden water buried them. Thus whole coal measure sequences with multiple seams would have been deposited rapidly. The heat flow produced by the catastrophic volcanism, crustal upheavals (tectonism), rapid deep burial, circulating hot waters (hydrothermal activity) and rising granitic magmas carrying radioactive elements would have been more than sufficient to rapidly coalify the seams of forest debris, assisted particularly by the catalytic action of the admixed clays present (as shown by the laboratory research).21 Given the catastrophic nature of Noah’s Flood, and the amount of vegetation buried in today’s coal seams,30 it is thus entirely feasible that all of today’s coal seams were formed by the global year long Noah’s Flood catastrophe and its aftermath. (1) Coal exploration—Explorers, seeking massive coal deposits should consider exploring in areas of ancient explosive volcanism and tectonism. Target areas would be those that consist of thick piles of tuffaceous sediments surrounding a dormant caldera. (2) Coal beneficiation—The possibility of using the concept of clay catalysis for the potentially low cost upgrading of currently uneconomic brown coal deposits, such as those in South Australia, should be seriously investigated. Even the Latrobe Valley brown coals could potentially be upgraded to high rank black coals by mixing the mined coal with the inter-seam clays and ‘cooking’ the mixture. (3) Artificial coal preparation—Carbon-rich industrial waste products such as those in the sawmilling, woodchip and sugar industries could potentially at low cost be artificially coalified by utilizing clay as a catalyst. Such artificial coals could even be made to customer specifications once the techniques have been refined. Thus the 1980 Mount St. Helens eruption provides a model that is able to explain similar apparent growth position tree stumps and logs in ancient coal deposits which are associated with tuffaceous and/or clay-rich sediments. The catastrophically deposited ash and mud flows along Toutle Canyon and in Spirit Lake carried with them broken, conifer logs that were deposited or sank in apparent growth positions, many with fine root structures. Further volcanic ash is still the dominant sediment being washed over these buried logs. Thus the 1980 Mount St. Helens eruption provides a model that is able to explain similar apparent growth position tree stumps and logs in ancient coal deposits which are associated with tuffaceous and/or clay-rich sediments. Upon this basis it has been concluded that the tree stumps and logs on top of the Upper and Lower Pilot Seams and in the Awaba ‘fossil forest’ horizon at Newcastle did not grow in situ even though they are found in apparent growth positions. The presence of both clays and coalified pine bark, cuticles and debris throughout the associated Pilot Seams, and in the coal seams at Oakleigh, indicate that the coal in these areas are not the product of terminal pine forests on ancient swamps, since it would be impossible then to explain the pine bark, cuticles and debris throughout the coal. Thus the vegetable debris in the coal seams does not appear to have grown in situ. Rather, it must have been washed into the depositional basins from the same forests that the catastrophically deposited pine trees were stripped from by the explosive volcanism. The coal therefore is allochthonous, and not autochthonous. Such rapid accumulation of carbon-rich sediments in areas of volcanism also implies the possibility of rapid seam formation. At Oakleigh the discovery in tuffaceous sandstones above the coal seams of a broken log that has black coal around its circumference and lining a clay-filled internal fracture, but only woody brown coal inside, provides compelling evidence that temperature and pressure are not the key factors in coalification and that coalification must have been rapid in such a volcanic setting. This widespread association of volcanic ash and ash-rich sediments (particularly the tuffs and kaolinite-rich tonstein marker beds) with coal seams full of allochthonous forest debris is an indication that widespread volcanism was associated with past coal seam formation, and provides evidence consistent with experimentally demonstrated rapid low temperature (less than 200°C) clay-catalyzed coalification of such seams in contrast with the slow formation, slow coalification autochthonous peat swamp hypothesis. The absence of clay in many present day peat deposits is sufficient to throw further doubt on the peat swamp hypothesis and should relegate such clay-free peats to be viewed merely as an alternative state of preserved carbon-rich material. Such peat deposits are thus not related to coal! Applying this explosive pyroclastic volcanism model to the formation of coal deposits world-wide, it is entirely feasible that all of today’s coal seams were formed by the volcanism, flooding, erosion, deposition, tectonism and hydrothermal activity during the global year-long Noah’s Flood catastrophe and its aftermath. Diessel, C.F.K., Coal Geology, Australian Mineral Foundation, Adelaide, 1980. Return to text. Stach, E., Mackowsky, M.-Th., Teichmuller, M., Taylor, G.H., Chandra, D. and Teichmuller, R., Textbook of Coal Petrology, Gebruder Bortraeger, Berlin and Stuttgart, 3rd Edition, 1982. Return to text. Martini, I.P. and Glooschenko, W., Cold climate environments of peat formation in Canada, Proceedings of the Eighteenth Newcastle Symposium on Advances in the Study of the Sydney Basin, pp 18–28, 1984. Return to text. Lipman, P.W. and Mullineaux, D.R. 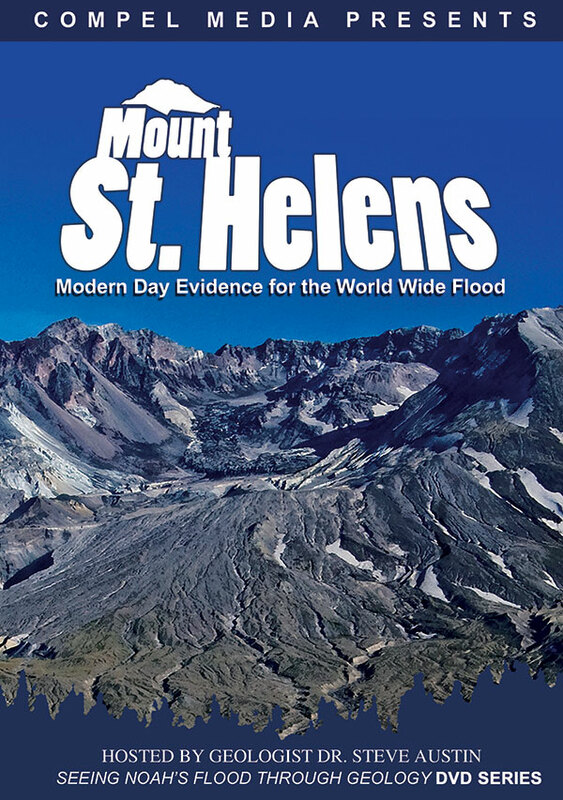 (Editors), The 1980 Eruptions of Mount St. Helens, Washington, U.S. Geol. Survey, Professional Paper 1250, 1981. Return to text. Fritz, W.J., Stumps transported and deposited upright by Mount St. Helens mud flows, Geology 8:586–588, 1980. Return to text. Coffin, H.G., Erect floating stumps in Spirit Lake, Washington, Geology 11:298–299, 1983. Return to text. Acts and Facts, Institute for Creation Research, San Diego, pp. 1, 4, October 1984. Return to text. McKenzie, P.J. and Britten, R.A., Newcastle coal measures; in: G.H. Packharn (Editor), The Geology of New South Wales, Journal Geological Society Australia 16(l):339–350, 1969. Return to text. Diessel, C. F.K., Excursion Guide—Day 1; in: C. Herbert and R. Helby (Editors), A Guide to the Sydney Basin, Geol. Survey N.S.W. Bull. 26, pp 459–472, 1980. Return to text. Crapp, C.E. and Nolan, R.C., Newcastle District; in: D.M. Traves and D. King (Editors), Economic Geology of Australia and Papua New Guinea. 2. Coal, Australasian Institute of Mining Metallurgy, Melbourne, Monograph 6, pp 163–175, 1975. Return to text. Diessel, C.F.K., Excursion Synopsis for Excursion Number 2, Eighteenth Newcastle Symposium on Advances in the Study of the Sydney Basin, Department of Geology, The University of Newcastle, 1984. Return to text. David, T.W.E., Geology of the Hunter River Coal Measures, New South Wales, Geological Survey NSW, Memoir G4, 1907. Return to text. Branagan, D.F. and Packham, G.H., Field Geology of New South Wales, Science Press, Sydney, 1967. Return to text. Andrews, N.H., Studies in Palaeobotany, John Wiley & Sons, New York, 1961. Return to text. Nashar, B., The Geology of the Hunter Valley, Jacaranda Press, Brisbane, 1964. Return to text. 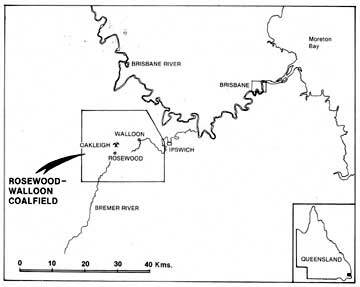 Cameron, J.B., The Rosewood-Walloon coalfield, Geological Survey Queensland Publication 344, 1970. Return to text. Cranfield, L.C., Schwarzbock, H. and Day, R.W., Geology of the Ipswich and Brisbane 1:250,000 sheet areas, Geological Survey Queensland Report 25, 1976. Return to text. Day, R.W., Whitaker, W.G., Murray, C.G., Wilson, I.H. and Grimes, K.G., Queensland geology—a companion volume to the 1:2,500,000 scale geological map (1975), Geological Survey Queensland Publication 383, 1983. Return to text. Gould, R.E., The coal-forming flora of the Walloon coal measures, Coal Geology 1(3):83–105, 1980. Return to text. Dryden, I.G.C., How was coal formed? Coke Gas 18:123–126, 181–184, 1956. Return to text. Hayatsu, R., McBeth, R.L., Scott, R.G., Botto, R.E. and Winans, R.E., Artificial coalification study preparation and characterization of synthetic macerals, Organic Geochemistry (in press), 1984. Return to text. Karlweil J., Kolloquim chemi und physik dar systinkhole, Erdol und Kohle-Erdgas Petrochemie 18(7):565, 1965. Return to text. Hill, G.R., Some aspects of coal research, Chemical Technology May 1972, pp. 292–297, 1972. Return to text. Ward, C.R., Mineral matter in Australian bituminous coals, Proceedings Australasian Institute Mining Metallurgy. 267:7–25, 1978. Return to text. Price, N.B. and Duff, P. McL.D., Mineralogy and chemistry of tonsteins from Carboniferous sequences of Great Britain, Sedimentology 13:45–69, 1969. Return to text. George, A.M., Brockway, D.J., Stacy, W.O. and Kiss, L.T., The origin of minerals, inorganics and sulphur in brown coals, Proceedings of the Eighteenth Newcastle Symposium on Advances in the Study of the Sydney Basin, pp. 67–69, 1984. Return to text. Gloe, C.S., Latrobe Valley Coal-Fields, Victoria; in: D.M. Traves and D. King (Editors), Economic Geology of Australia and Papua New Guinea. 2. Coal, Australasian Institute Mining Metallurgy, Melbourne, Monograph 6, pp 345–352, 1975. Return to text. Prof. LP. Martini, personal communication, Eighteenth Newcastle Symposium on Advances in the Study of the Sydney Basin, April 28, 1984. Return to text. Edmond, J.M. and Von Damm, K., Hot springs on the ocean floor, Scientific American 284(4):70–83, 1983. Return to text. Fossil fuels, Creation 7(3)–11, 1984. Return to text.